Our slides are the most important pieces of the project. 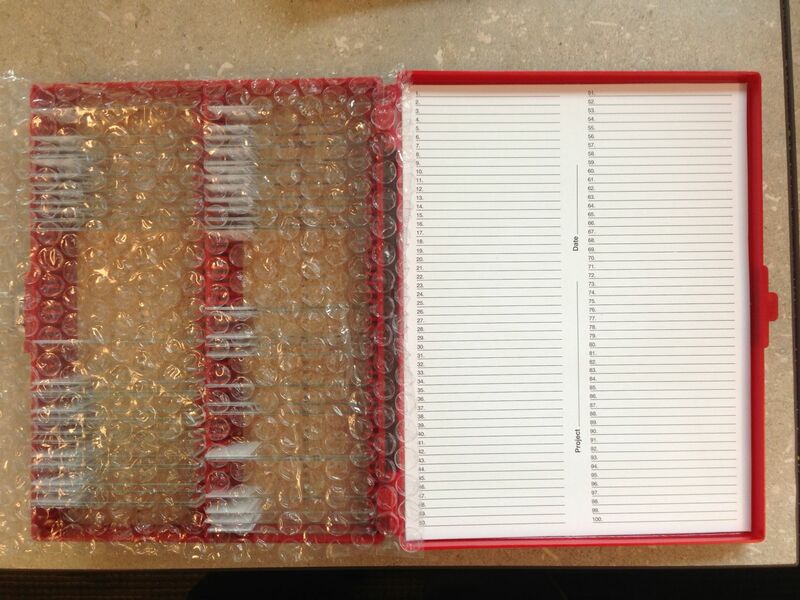 Great care is always taken when shipping all slides using a small cell rectangular cut bubble wrap inside the box on top of the slides, then wrap the entire box in bubble wrap a few times around. This gives the safest way possible to eliminate broken slides. It’s the best skill to teach your interns, cutting bubble wrap, boxing it up and bringing to fed ex, then picking up coffee on the way back! Some slide boxes come with bubble wrap from the vendor, we save those and use when shipping also.